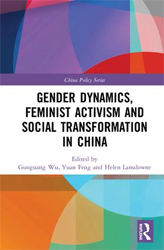 A new edited volume (Routledge, 2019) by CAPI China Chair Guoguang Wu (UVic Political Science and History), CAPI Associate Director Helen Lansdowne, and Yuan Feng (Shantou University, China), which comprises papers from a CAPI symposium held at the University of Victoria, April 7-8, 2017. The Centre for Asia-Pacific Initiatives is located at the University of Victoria in British Columbia, Canada. Our team conducts research on policy issues and builds relationships with universities and civil society organizations in the region. We hold international conferences and events and act as a resource facility for the university and the wider community on this important and diverse part of the world. Read more. A video montage of some of our student interns and partners across the Asia-Pacific and Africa in celebration of our 30th anniversary (thanks to Eli Meadow Ramraj for the editing). Dennis Gupa is a PhD student with UVic's Applied Theatre Department. Here he reports on his work in his native Philippines, which has been partially supported through a CAPI Student Research Fellowship. Description: CAPI Director Victor V. Ramraj with students and colleague Aj. Natta at Chiang Mai University in Thailand, where he has been teaching a 3-week intensive law course (Jan 29, 2019). Description: "Students say goodbye to Teacher Nick, our CAPI intern who taught our Advanced Course for 6 months. We will miss you Teacher Nick!" - 2018 CAPI intern Nick Harrison (UVic Political Science student) with students at the Karenni Social Development Centre on the Thai/Myanmar Border, Nov 2018. Description: Tony Huiquan Zhang, assistant professor of sociology at the St. Thomas More College (University of Saskatchewan) with CAPI China Chair Guoguang Wu following Zhang's talk "The Rise of Princelings in China: Career Advantages and Collective Elite Reproduction" at CAPI, December 10th, 2018.